(TibetanReview.net, May15, 2016) – For at least a third time over the past five years or so Tibetans who were born-citizens of India but had been denied their citizenship rights have knocked on the door of the judiciary, with the action this time being to ask the Delhi High Court to direct the government to implement two previous High Court rulings. And the petitioner this time is Mr Lobsang Wangyal, a journalist and events manager from Dharamshala. Writing on his Tibetsun.com website May 13, Mr Lobsang Wangyal says despite being a registered voter, his application for an Indian passport was rejected on the ground that though born in India in 1970, and therefore a citizen, he was of Tibetan descent. He says this had happened to many other Tibetans as well. He filed his petition on May 13 after two years of exchanges of communications with relevant Indian bureaucracy in New Delhi continued to end in disappointment. Given the plain reading of the law, and the two previous high court judgements, Lobsang Wangyal’s lawyer, Mr Giriraj Subramanium, is confident that the Delhi High Court will give a swift ruling, perhaps as early as after the last week of Jul 2016, the date for the hearing of arguments in the case. 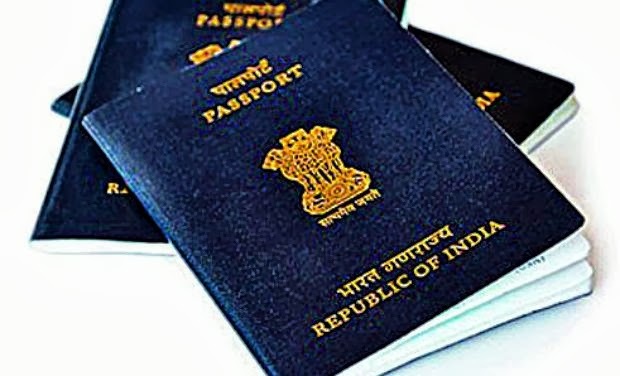 The High Courts of Delhi and Karnataka had, in two judgements in Dec 2011 and Aug 2013, directed the government to issue passports to their two Tibetan petitioners in keeping with the provisions of Section 3(a) of the Indian Citizenship Act 1955, which said all persons born in India between Jan 26, 1950 and Jul 1, 1987 were citizens. The act was later amended to do away with this provision. However, in Oct 2014, the Government of India reiterated its requirement that all Tibetans and their offspring, irrespective of whether they were born in India before Jul 1, 1987, should register themselves as “’refugees’ who are staying temporarily on humanitarian considerations”. This is despite the fact that the Delhi High Court had ruled that Tibetans born during the above citizen-by-birth period were citizens and were entitled to passports despite having been compulsorily registered as foreigners. And the Election Commission of India had, in Feb 2014, just ahead of the general election that year, cited the Karnataka High Court ruling to direct all state election chiefs to register Tibetans born during the above period and their offspring as voters. Purely for sentimental reasons, but also out of ignorance and misperceptions, most of the eligible Tibetans are unlikely to avail their citizenship right even after a favourable High Court judgement, going by their response to registration as voters after the Feb 7, 2014 Election Commission of India directive. However to those anxious to assert their right, it is a question of living in the country of their birth and upbringing with dignity and of being able to exercise rights denied by the deprivation of their citizenship. India is home to round 100,000 Tibetans, with a significant number of them having entered the country after the citizen-by-birth clause was removed from the statute. Of course must take Indian passport if we are eligible for it.